This all tracks with recent news that Facebook CEO Mark Zuckerberg plans to roll Instagram, WhatsApp, and Messenger into a single platform. The New York Times cited sources within Facebook as saying that while the services will remain as their own apps, the tech behind all three will be unified. 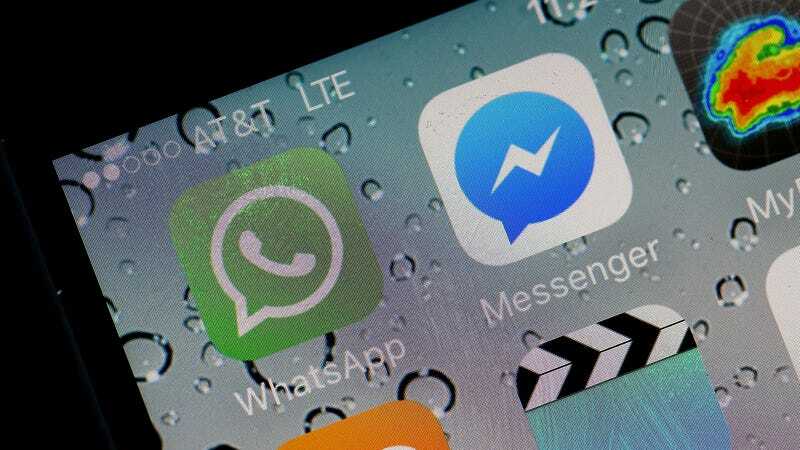 In any case, the Times report hints that integrating all three messenger services is a big priority for Facebook in 2019, as Zuckerberg is reportedly pushing for the unification to be done by the end of this year or early 2020. It’s possible that rolling chat back into the main Facebook app is part of this effort, though it’s not clear if or when it will roll out to the general public. Gizmodo reached out to Facebook for comment but did not immediately receive a response. Clearly, this vision of one app, one purpose has shifted since Facebook’s acquired both Instagram and WhatsApp. Initially, Zuckerberg promised that Instagram and WhatsApp would remain independent. Since then, Instagram’s and WhatsApp’s founders have all departed—rather abruptly—after Zuckerberg started weighing in more. And, given all the bad press following Facebook’s seemingly never-ending series of scandals, lumping all these apps together might be a ploy at keeping users locked in and engaged.